It is with heavy heart that the OSU SRP says goodbye to long-time scientist and mentor, Sharon Krueger. Sharon passed away December 27, 2015 at her home in Corvallis, OR. Sharon was a Research Assistant Professor in the Linus Pauling Institute (OSU) and the Research Coordinator for the OSU Superfund Research Program. 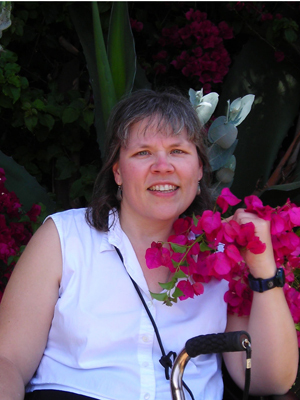 Sharon began working at OSU in 1993 as a post-doctoral fellow in the laboratory of Dr. David Williams. Her work focused on the flavin-containing monooxygenase (FMO) enzyme and how it influenced drug metabolism and toxicology. Sharon was an active researcher, working with a many OSU and SRP scientists and publishing 39 scientific articles, in addition to serving as co-investigator on nine funded research grants. Sharon was dedicated to her research, and was an essential mentor to many undergraduate and graduate students that worked with her. Outside of work, Sharon enjoyed cooking, traveling and photography. The family requests that in lieu of flowers, please consider donations to the Acid Maltose Deficiency Association (http://www.amda-pompe.org).